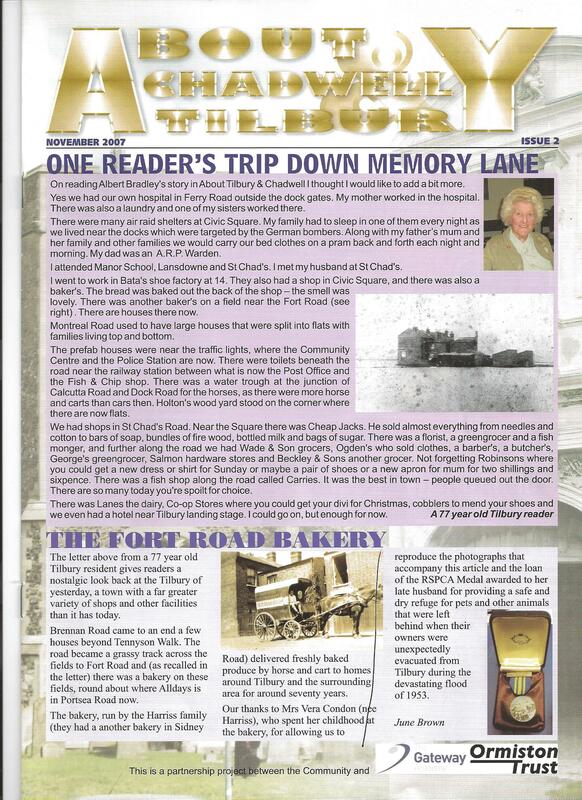 This is an article from the About Tilbury Magazine from November 2007. The piece at the end is about the Tilbury Floods. It will be 60 years since the floods on Jan 31st this year. 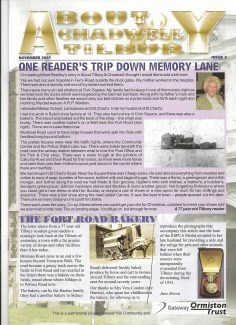 My family lived at 4 Shaw Crescent after being bombed out of 40 Kipling Avenue – nearly every day I was dispatched to walk over the field behind Fielding Avenue to the Bakery to fetch a newly baked loaf. In winter it was shoved up my jacket to keep me warm. The bread was delicious and many times I could not resist eating some by burrowing into it when walking home arriving with a great hole in an end..